It is only a few days until the spookiest party of the year – Halloween! Although this feast originated in Ireland, it has become a celebration all over the world. And of course, Spain is no exception. The Halloween Night is officially the 31st October, but many activities for kids in Malaga will be running the weekend before. 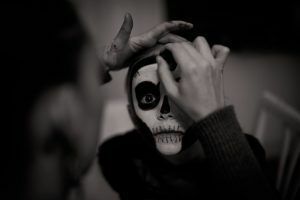 Moving away from the classical costumes, Club Happy Malaga has decided to organise an original Halloween celebration. On Wednesday 31st you and your kids will be welcome at Harry Potter’s party. Fun stories, music and entertainment are guaranteed. From 18.00 to 20.00 pm the team of Club Happy will be at the Corte Inglés (Avenida de Andalucia) to transform the club into the famous Hogwarts School. The entry price is €10 for each child and it includes an evening snack. 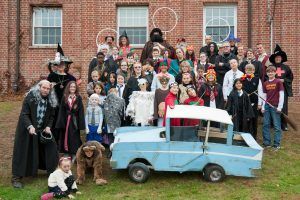 If your child (or yourself) love Harry Potter, book your ticket and organise a big Halloween surprise. 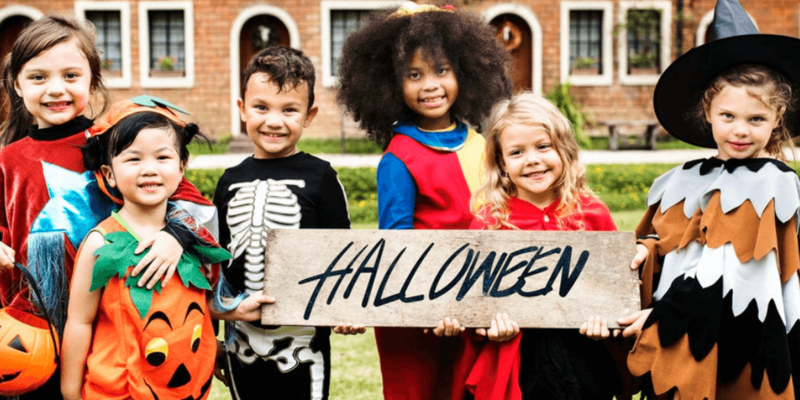 If you’ve run out of ideas for celebrating Halloween 2018 in Malaga, there is no need leave your kids bored at home. We recommend visiting the fancy dress party at Muelle Uno on Wednesday 31st. The party goes on from 17:00 to 21:00 am and there is a price for the best costume. 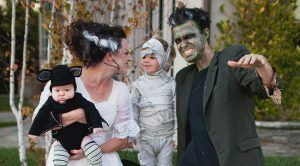 What’s best: many businesses will be doing “trick or treat” for the youngest ones. Once you get to Muelle Uno, there will be a map showing the bars and restaurants participating. A photo booth will allow you to have a good laugh until 19:00 pm, before the costume catwalk starts. There will be 3 different prizes: one for kids, another one for adults and one for families. No matter what age you are, you can win! On 31st October, the real adventurers are expected to show up at the Concepcion Botanic Garden, for a night visit. 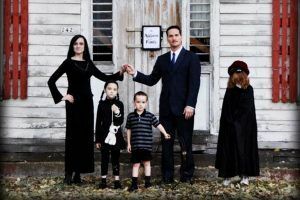 It will be a spellbinding experience both for kids and adults, who are invited to dress up in costumes. During your visit to the historical areas of the gardens, the night creatures will pop up and greet you from the most unexpected places. The visit lasts for an hour and twenty minutes and costs €15 per person. It starts at 20:00 pm and it is necessary to book in advance. Are your kids daring enough for this visit? Then get your costumes ready and off you go! Saturday 27th and Sunday 28th wil be good days for celebrating Halloween at Tivoli World in Malaga-Benalmadena. There will be animated shows with pirates, vampires and many more fun surprises. This leisure park will be also ‘dress up’ in a different way to welcome Halloween. Like Bioparc, the entrance at Tivoli World will be free for all children who have also dressed up for Halloween. Don’t forget to visit the Mansion of Terror – you are sure to have a ball! For Halloween 2018, Bioparc Fuengirola will become a mysterious and spooky pace. This means, the most unexpected things can happen. Nothing is at it seems. If you want to give your kids a frightening yet charming program, bring them to Bioparc Fuengirola on November 1st. The Bioparc zoo will modify its traditional itinerary, to make it even more special. The visit will completed with challenges and adventures for the whole family. 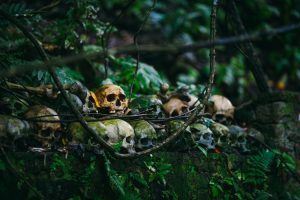 Spending Halloween in the Jungle, surrounded by animals will indeed be something different. Children from 3 to 9 who wear costumes will get a free entrance. From 11 am, Bioparc will be offering activities for families, e.g. a visit to the lemurs on island of Madagascar and recreation games to search for Halloween characters who are destroying nature. 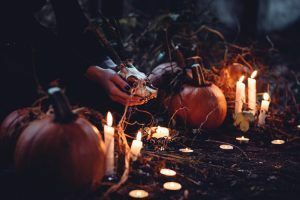 Arguably one of the best plans to spend Halloween 2018 in Malaga! Has any of these plans already hypnotised you? In any case, we wish a very enjoyable Halloween with your kids and family. And if you need to hire a car to visit Fuengirola or Benalmadena, remember to book it with Marbesol – the cheapest car hire in Malaga and Costa del Sol! Understanding the pricing of car hire companies is the basis of a successful service. However, many customers who rent through brokers and external agencies can be often misled. At the end of the day, it is the terms and prices of the car rental company that apply. 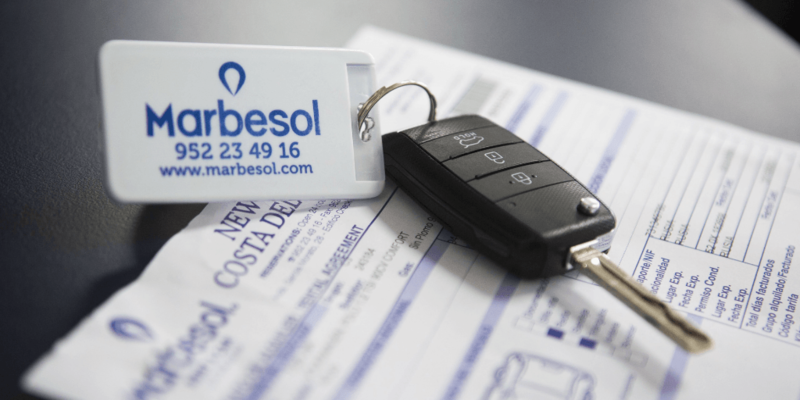 In this article, we want to offer a thorough explanation of Marbesol’s prices and conditions for avoid additional charges when hiring a car. Car hire is clearly one of the most practical solutions for discovering any part of the world. It gives you full independence and allows you to manage your own budget as you wish. There are however some cases in which the final price can increase, for instance: a delayed return, a traffic incident, insufficient cleaning or returning the vehicle without refuelling. Despite the variety of car rental companies based at Malaga airport, there are significant differences in the offered services. For this reason, the Marbesol team insists in explaining the service terms upon arrival. What does Marbesol have to offer? Marbesol is a car rental company offering a wide selection of car models and prices. Thanks to this, every driver can pick the most suitable combination for the planned journey. To be exact, the offices of Marbesol are located a few minutes away from the airport terminal in Malaga. Compared to other companies which are right beside the terminal, Marbesol offers cheaper prices and a courtesy transport to save this gap. Besides, escaping the crowds at the airport can be seen as an advantage when parking or returning the car. The number of services that are included in your booking depends on the type of package you buy. The basic tariff seems very attractive because of the lower price, but it’s not always the most recommendable choice. Especially for those who plan a long trip or tend to drive roughly, it’s not the safest one. First of all, you only get the most basic insurance, which means any damages to the car or even a flat tyre will be charged separately. Road assistance is not included either. But most importantly, this package does not include the fuel in the price. So once you arrive at the office, you will also have to pay to fill the deposit. This fare does include some additional services, as for example road assistance, theft coverage and the full-to-full policy. But in the event of a car breakdown, the customer is liable for the extra costs, which can turn out to be higher than the price of the all inclusive package. The all-inclusive package is clearly the safest one, since it gives the customer full coverage. It also includes the full-to-full policy with unlimited mileage, a free additional driver, free GPS and a price reduction on baby seats. In short, if you are running on a low budget and are a careful driver, the basic or plus package may be an option. But if you want to play it safe, our team highly recommends booking the all inclusive package. At the airport, customers who have booked ‘all inclusive’ will also benefit from priority check-in thanks to the Express Desk. At this point, you will be requested to show your ID and a driving license which is valid in Spain. Once you go online and visit our website, remember to check the services included in each package and take your time to read the service terms. Regular clients can benefit from a variety discounts for visiting the Costa del Sol by signing up for the Marbesol Club. In case you have any questions or need to clarify the service terms, please contact the Marbesol Team at +34 952 234 916 or drop us a line using the contact form. Before setting out for your trip, we recommend reading our Analysis of Traffic Offences On Spanish Roads.